Scottsboro, Alabama is a small town with a big decision. The decision that lies before the historic town is one that has been faced by other small and not so small towns in the past. In the coming days and months, the roughly 14,000 citizens of Scottsboro will have to choose what they want their town to look like in the future and what kind of Scottsboro they want to leave for their children and grandchildren. Scottsboro is on the cusp of great changes or more of the same. Let's look at what Scottsboro has to offer, where it is now and where it could be headed if the right choices are made. Scottsboro is a town steeped in history. It sits on land that once belonged to the Cherokees. It was settled by early pioneers seeking a better life for their own families. The town has survived the struggles of the Civil War and Civil Rights. Scottsboro is a reflection of the dilemmas faced by our country both in the past and in the present. The people of Scottsboro are hardy and resilient. The town sits in enviable surroundings. One of the city's mottos once was, "Where the Mountains Meet the Lakes" and this is an accurate description of Scottsboro's physical setting. Located in the foothills of the Appalachain Mountains, sheltered by the Cumberland Plateau and Sand Mountain and sitting on the banks of the Tennessee River, it is easy to see why Scottsboro's founder, Robert Scott, chose this location to settle down and raise his family. The woodlands are teeming with wildlife...deer, turkeys, rabbits and squirrels... while the river provides abundant fishing opportunities. Scottsboro is the county seat of Jackson county. 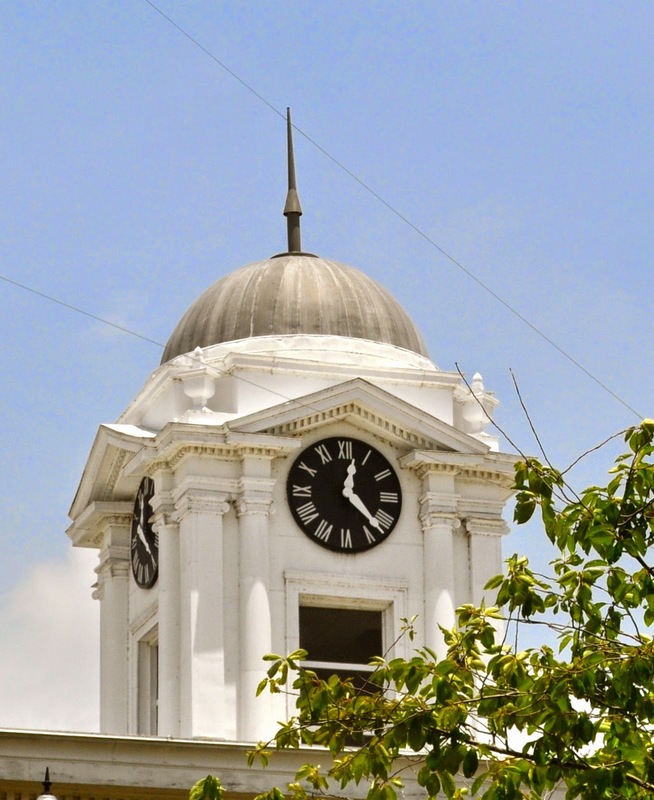 The town of Scottsboro is situated on a square which surrounds the county courthouse. The square is made of brick and mortar buildings which were added at different times in the town's history. Some of the buildings bear the names of the original owners and others give testament to their beginnings by symbols or dates which were added to their design when they were built. For instance, Scottsboro's Safety First Services is located in the old Masonic Lodge as evidenced by the Masonic emblem near the top of the building. The square is quaint and picturesque, a bit of small town Americana. Shade trees provide respite from the harsh Alabama sun. The square has also been home to First Monday Trade Days. First Monday used to be huge, with vendors and visitors coming from parts near and wide, but efforts to regulate the event back in the '90's nearly killed it entirely. Currently, Labor Day weekend is the largest First Monday of the year. Recently, the leaders of Scottsboro and Jackson County have fueled the hopes and imaginations of the citizens by securing two large grants for the remodeling of the square. More than a million dollars in grant money will be pooled by city and county governments to give the square an updated look with landscaping, new sidewalks and areas for seating. The possibilities for a refurbished square have citizens hoping for a newly energized downtown with an arts and entertainment district for shopping, dining and entertainment. Hopes are high that the city council will appoint a downtown redevelopment advisory board to help breathe new life into the historic old square. Social media has played a huge part in fanning the revitalization flames. REVIVE Scottsboro started the conversation and now, in a month's time, the facebook page has more than 1100 members. 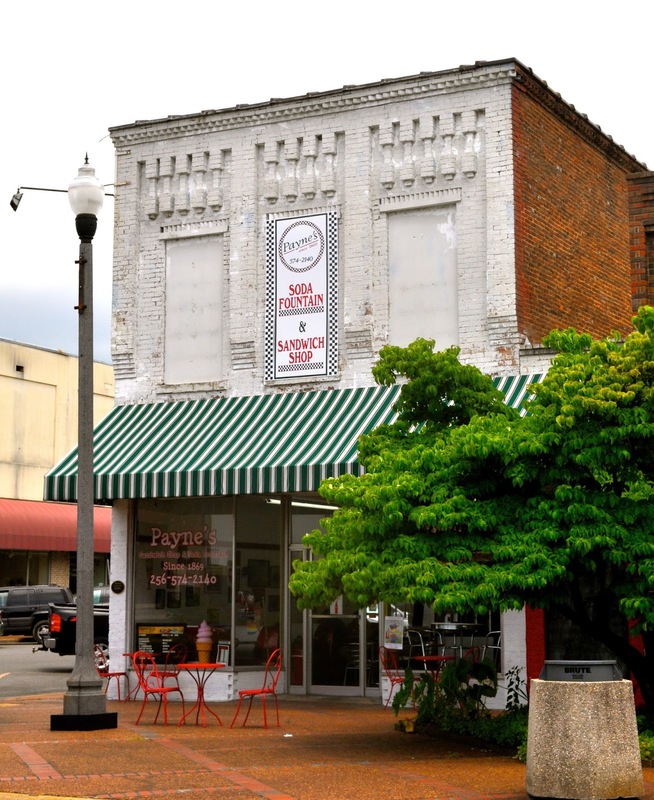 Realizing that REVIVE was generating so many ideas for so many different areas of town, the group Downtown Scottsboro was born to focus only on downtown revitalization. With the express purpose of supporting the creation of a downtown arts and entertainment district, this page has garnered more than 1300 likes in less than three weeks. Three Friends and a Fork's earlier post about Scottsboro (http://threefriendsandafork.blogspot.com/2014/06/scottsboro-is-hidden-gem-yall.html) posted, in what seems like ages ago, on June 24, shows a Facebook reach of more than 20,000 with almost 2,000 post clicks and more than 500 likes. Clearly, people are paying attention and interested in the future of the city. So, the question is...what's next? Will the citizens of Scottsboro be satisfied with the status quo or will they seize the day and become part of the solution? Will the square get new sidewalks, but fail to become an arts and entertainment district capable of attracting new business and growth to the downtown area? Will Scottsboro continue to be a "go through" town rather than a "go to" town? Will the downtown area continue to roll up the sidewalks at 5:00 pm or will it roll out the red carpet to more dining, entertainment and shopping possibilities? Will we continue to have a under-used Farmer's Market tucked off in an out of the way area or a lively and energetic place for farmers and shoppers to come together in the heart of the city? Will we let our proud First Monday tradition fade into the pages of history, or will we resuscitate it and give it new life in a bustling and vibrant downtown? Now is the time to answer these questions. Scottsboro, the future is up to you. Great photos and stimulating article. Any effort to "Revive Scottsboro" must be inclusive, not exclusive. All the people of Scottsboro should be involved if they want, but that is not the case. Allowing a select group of elitist to plan and dictate to others what may or may not be stated or interjected does not facilitate reviving anything except bad memories. Scottsboro has had several plans to improve our fair city. Unfortunately most of those plans have not been implemented for the express purpose of moving business to the Hwy 72 bypass. This fault of effective planning has caused and continues to cause a demise of the downtown area. Ultra-conservatism designed to facilitate the enrichment of the select few and stifle comments and effective problem solving does not instill positive advancements in our community and culture that we call Scottsboro, Alabama.